There are not many things more beautiful than the joy of the Lord! As we embarked on the third day of this pilgrimage of grace this joy of the Lord was becoming more and more evident. By this time all of the weariness of travel had almost completely worn off and we were able to enter more fully into the many great graces that God had planned for us all on this encounter with Him. The day began as had the previous day and the following days with our morning prayer in our temporary homes. We were privileged to begin each day together and end each day together. This made perfectly clear to all of us that this is not just a “tour group” but that we were really a community of one heart and soul on a pilgrimage to encounter our ever living and present Lord and Savior Jesus Christ. In the goofiness and reverence of these beginning moments of the day we were able to find great strength in Christ and in each other. These times of instruction and prayer were able to facilitate for all of us a more fruitful reception of the many and varied gifts that we all received on this pilgrimage. What continues to strike me about World Youth Days, and this one in particular, is how the presence of Christ in His Church transforms the world in which we live in. Toronto, Ontario was not the same city after World Youth Day as it was before. Jesus not only saves, but He transforms, He heals, and He loves. The Lord was loving this city as His children overtook the subways and the city streets. He was transforming the routine culture of cynicism that so many live in and have been accustomed to into a true “culture of life.” This is a culture where holiness reigns in place of sin. A culture where hope defeats the despair of this world. In this culture the joy of the Lord reigns supreme! This is the “real world” that we are called to live in because it is the world that our Father in Heaven intended for us from the beginning. For the majority of us on the pilgrimage, myself included, Pope John Paul II was our only pope up to this point. He was our Vicar of Christ and our Successor of St. Peter. We LOVE him and will never forget him. What a wonderful day May 1, 2011 is going to be when the Church definitively proclaims what we already knew … Pope John Paul the Great is in Heaven! He is still loving us, shepherding us, and praying for us! This saintly man brought out the best in his flock. He promised us that if we give our lives to Christ than we never need to be afraid. He taught us that if we don’t stand for the truth than we fall for anything. He inspired us to always promote the contradiction of the cross that showed itself in a true culture of life and holiness. He led us on the royal road of the cross to give our lives away in the beautiful gifts that God has chosen for us in our vocations. One of the most inspiring moments for me while watching this video was seeing a young teenager at the time and now a major seminarian for our diocese preparing for priesthood proclaiming with all his heart, “I am here because I want to be a priest!” The seeds of his vocation which were just germinating at the time of World Youth Day are now growing and maturing into a beautiful and holy priestly vocation for the Church. What amazing growth this vocation must of experienced by the holy nourishment that it received from this World Youth Day. I would not be the priest and man I am today if was not for my friend Pope John Paul the Great and experiencing this pilgrimage. This was my first World Youth Day, and at the time I was just a new seminarian. How impressed I was by not only knowing in my mind that there was a universal Church, but also being able to experience and live it! I was so inspired to be able to receive the very same Jesus at Mass from the hands of bishops, cardinals, and the Pope himself that I was able to receive from the hands of my very own parish priests and seminary priests. Seeing the sea of confessors all throughout these days instilled in me an even greater love of God’s unlimited, forgiving mercy through this sacrament of confession and how gentle He is to give it to us through the ministry of His priests. I, like this teen, wanted with all my heart to be a priest of Jesus Christ and His Church and am so grateful and humbled now that I am one! The priesthood, as Pope John Paul II so beautifully described is a great “gift and mystery.” He always addressed his brother priests in his Holy Thursday letters to them as, “my dear brother priests.” How awesome and terrifying at the same time to know that I am privileged to share the very same priesthood as Pope John Paul II and now Pope Benedict XVI! How mind-blowing it is that we all share the same priesthood of Jesus Christ the Great High Priest! This gives me such deep, abiding, and radiant joy! But, at the same time it oftentimes reduces me to humble tears of gratitude because of how good God has been to me in my own weakness and frailty. This is truly the testament that the priesthood of Jesus Christ is much bigger than the man himself. That young man in the video already had a glimpse of this, and soon, God-willing he will be able to receive this “gift and mystery” of the priesthood. The day continued with the highlight of all days … the Holy sacrifice of the Mass. To be able be transported back to Calvary with hundreds of thousands of the faithful was spectacular. The miracle of the Mass is the fact that the very same Jesus is made present in His Word, in the priest, in the faithful gathered, and really and truly in the Eucharist no matter if there is just one person there or one trillion! The Eucharist was and must be the source of joy and strength for us all. The very same Blessed Sacrament that we are privileged to receive and adore in our churches at home was the same Blessed Sacrament that millions received and adored at World Youth Day in Toronto. The Eucharist was the source of joy and holiness par excellence for Pope John Paul II and must be for us as well. The Eucharist was truly our viaticum, or food for the journey on this pilgrimage, and it must be continue to be so all the days of our life. The nourishment and joyful grace we all received at this Mass presided over by one of the princes of the Church, the Cardinal Archbishop of Toronto, then spilled over into the celebratory concert that happened immediately following. For the Catholic Christian, joy is not only experienced and lived in concrete moments of the day like at Mass or during Adoration, but it must spill over and characterize the very essence our lives. The joy and love of Christ must permeate everything we say and do. This is what makes a saint. This is what Pope John Paul the Great lived and taught us so very well! Fr. Dan Hoffman is a priest of the Catholic Diocese of Erie. 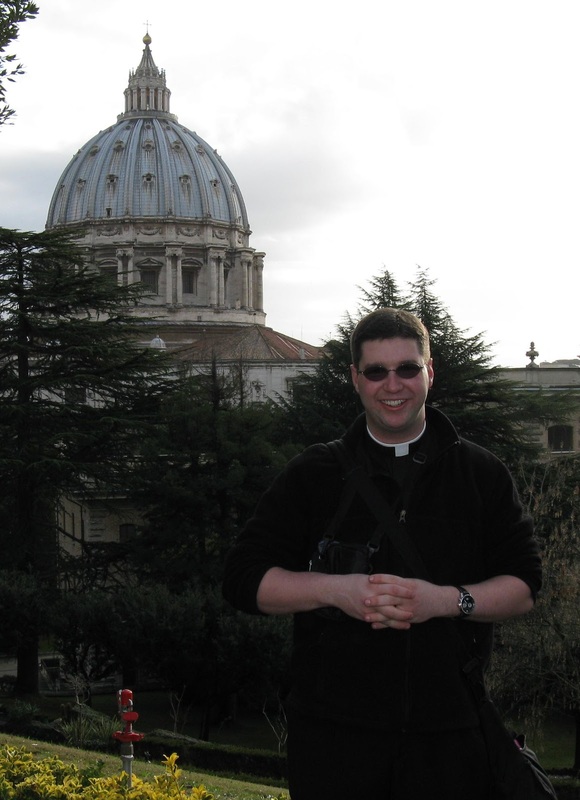 He is currently living in Washington, DC working on a License in Canon Law (JCL) at Catholic University of America. OR BY CHECK: "Image Trinity"
Image Trinity is rapidly growing movement of families engaged in the great adventure and mission: to Image the Trinity (Get IT?). Simply put, we exist to make Love known. 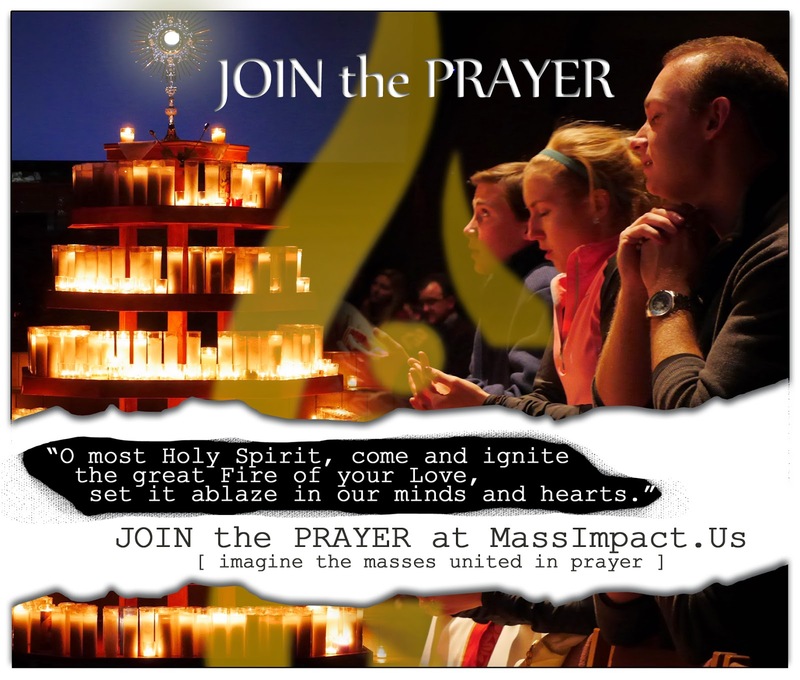 This takes place in vibrant parishes where Jesus Christ is more fully discovered and lived (MassImpact.us). What can you do right now? First, Join the Prayer. After that, in the degree to which you have been blessed, please prayerfully consider being His Blessing. Help us financially. We need you. 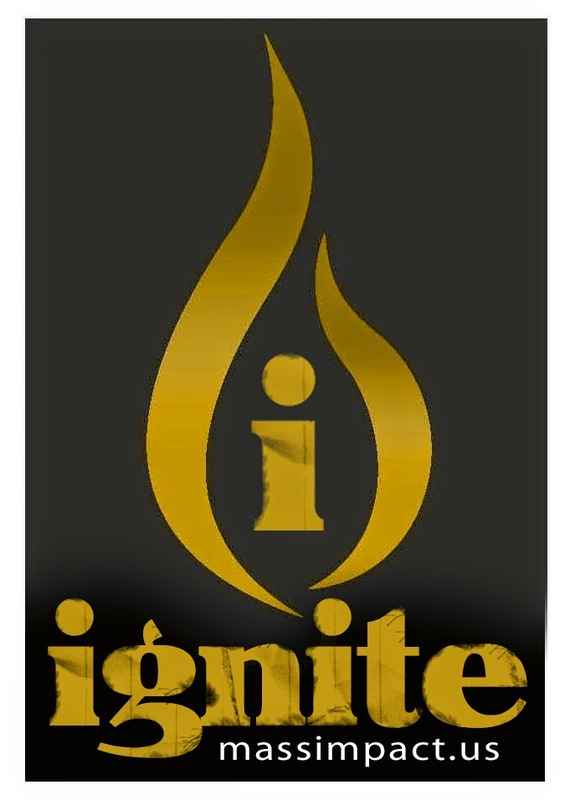 Your generous donation is tax-deductible. It is board-accountable, multiplied many times over by engaging volunteer leaders- and is making a person and parish-transforming difference.